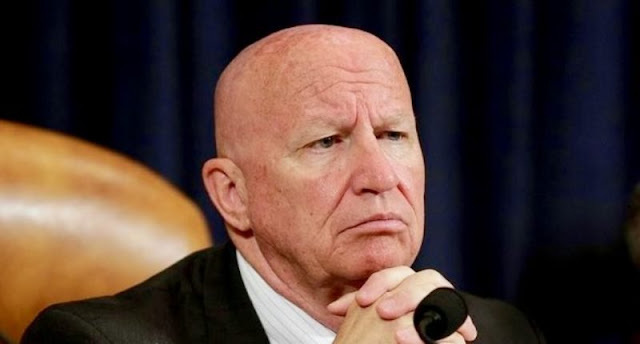 In a radio interview, House Ways and Means Committee Chairman Kevin Brady told commentator Hugh Hewitt that the House tax "reform" plan will eliminate tax deductions for state and local taxes paid, essentially implementing a tax on taxes. But, he said, it would keep a deduction for property taxes. As I have stated before, Trump tax "reform" is a shell game, with some points of taxation lowered but other points of taxation either increased or newly created. In the end, I expect taxes to be increased in one form or another for the majority of tax paying Americans. The elimination of the state and local deductions is just one example of the scam. Hopefully we can get some sports stars in high tax states to protest the Federal Anthem before games over this as well. Or every super team should be in a no income tax state; vote with free agency. I hope what you are saying turns out to be true. Please, Mr. Trump! We can't take so much winning! This change is welcome. Federal taxpayers in well-run red states, with low or no local taxes, will no longer be subsidizing the parasitical local tax rates - feeding bloated local government, in poorly-managed, deep blue states. Some of those "well-run red states" have high income tax rates. For instance, South Carolina and its 7% income tax. Remember you have a choice between deducting local sales tax and state income tax, not both. Real Estate taxes are deductible. It's not how well run a state is but how it has decided to tax people that matters. Furthermore the reason the blue states are blue is often because of historic industrial development. Before government can steal there has to be something to steal. This industry usually isn't quite dead so when it comes to federal taxation it is some of the "well-run red states" that are being subsidized, receiving more than they pay. SC again being a prime example.